Spring musical comedy production harkens back to 'Golden Age' of entertainment. Tigard High will debut its spring musical, "The Drowsy Chaperone," in May. The show runs from May 4-5 and 10-12 at 7:30 p.m., with a matinee performance at 2 p.m. May 12. "The Drowsy Chaperone" is a musical comedy directed by Megan Misslin. The show is produced by Todd Hermanson and vocal director Robert Hawthorne. They are accompanied by conductor Rob Fishel and choreographer Andrew Start. It's a show within a show, or as its tagline says, "a musical within a comedy." The show is an homage to and a parody of musical theater of the Golden Age, telling the tale of the Man in the Chair, alone in his apartment, who invites the audience to listen to a recording of his favorite classic musical, a fictional show of the same title. The musical comes to life in his apartment as he narrates the story and provides little tidbits about the characters and actors, all while giving some insight into his own story. 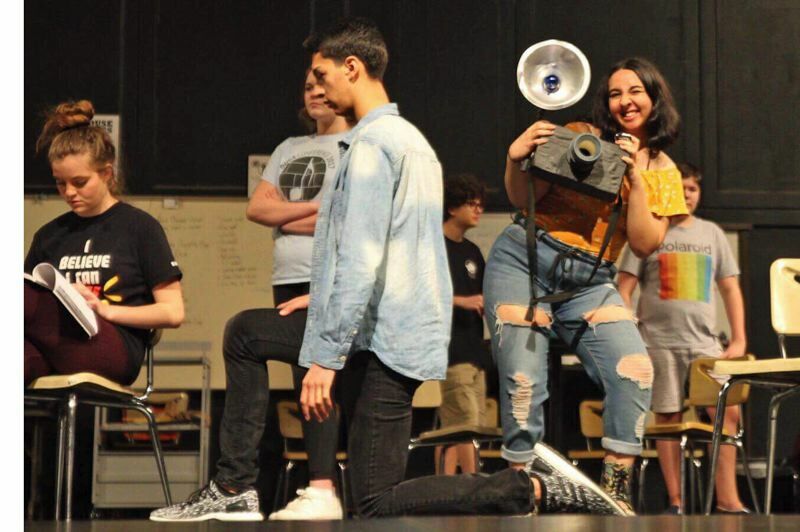 The stakes are raised for the students acting and working in the production — Tigard High School puts on a large musical production only once every two years. "With a musical, everything is bigger," Misslin said. "We have a large cast with many characters and a substantial ensemble, which means more costumes and props for the crew to find and create. Our set has many complicated elements, including a plane that a student actually flies in! All hands will need to be on deck to design and construct." Misslin continues: "As for our cast, I think the biggest challenge will be being able to emulate the qualities of that era of entertainment such as early 20th century musical comedies and movie musicals. Understanding the style is going to be an important part of the cast really being able to pull off the feeling that the show needs." Jacob Resnikoff stars as the Man in the Chair. Now a senior, Resnikoff has been acting since the second grade and said the theater at Tigard High has been a second family to him. "I had a list of roles that I wanted to play, and the Man in the Chair was definitely at the top of the list." Resnikoff said. "Waiting for the cast list to be posted after auditions, I knew that I would be happy with any part. As a senior, this will be my last high school show, so I just want to enjoy every moment of it, no matter what." Kara Petrick portrays the leading lady, Janet Van de Graaff, a flamboyant showgirl who is plagued with the decision between her love of the stage and the love of her life. "I knew that I wanted to play Janet Van de Graaff ever since I first heard the soundtrack for the show. I definitely had some doubts at auditions, because there is so much talent in this theater program." PJ Doolin, a senior, portrays Robert Martin, the bridegroom to Janet. Doolin began acting in his sophomore year of high school and has been involved with every production since. "Competition was tough at auditions, I definitely felt the pressure to really give it my best, and show what I have to offer." Doolin said. 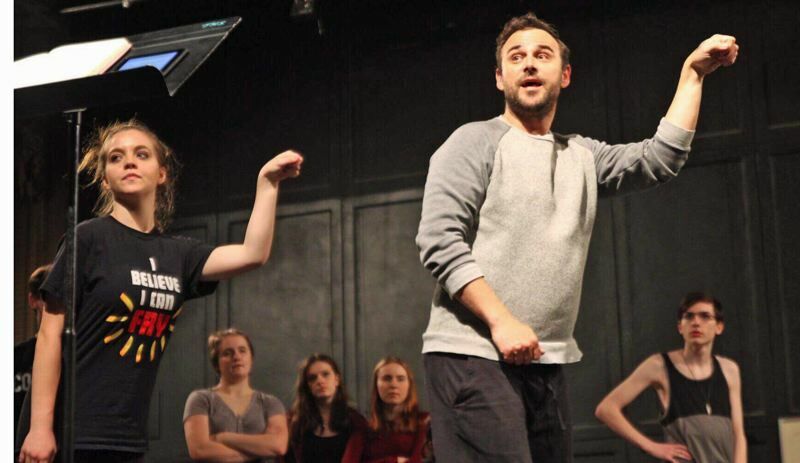 "While waiting for the cast list, I wasn't as anxious as I was in my sophomore year. Although I tried to distract myself by going to church and playing video games over the weekend." Misslin said she is excited to see her vision come to life. "Working in high school theater, the enthusiasm and spirit that the students bring to the process makes it that much more fun for me. I really enjoy seeing a student develop confidence in their choices as a character, and after committing all of the time and energy it takes to learn and embody the music, movement, and dialogue, I get to witness the magic when the whole group takes ownership of a show and makes it their own special experience." Cait Smith is a student at Tigard High School and a contributor to The Times.